SEDEX SMETA Audit (Social Compliance Audit)- Eucert is providing a complete solution guidance about SEDEX SMETA audits. We are offering Consulting, Training and Certification services. BSCI Consultancy Services, help many retailers, industry and importing companies in monitoring and improving social standards consumer goods. These services are based on labor standards of the International Labour Organization (ILO) and other important international regulations like the UN Charter for Human Rights, as well as on national regulations. - The BSCI is a non-profit organization with its headquarters in Brussels. - It was launched more than five years ago at a time of intense exchange on how to achieve convergence in the field of corporate social responsibility. Omni Solutions Information Technologies Pvt. Ltd. The BSCI is a non-profit organization with its headquarters in Brussels. It was launched more than five years ago at a time of intense exchange on how to achieve convergence in the field of corporate social responsibility. In order to keep the ever growing demand of our clients, we are involved in providing BSCI Audit. This BSCI Audit service is executed by expert hands and capable to perform its working with full dignity and per the latest set norm and rules. Clients can avail this product at pocket friendly prices. 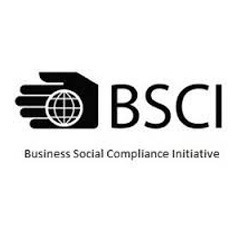 The Business Social Compliance Initiative (BSCI) is a leading supply chain management system that supports companies to drive social compliance and improvements within the factories and farms in their global supply chains. Our organization is one of the leading BSCI Certification Services providers in India. OHSAS 18001, Occupational Health and Safety Assessment Series, (officially BS OHSAS 18001) is a British Standard for occupational health and safety management systems. Compliance with it enables organizations to demonstrate that they have a system in place for occupational health and safety. EBC - Ethical Business Compliance is an initiative of CDG Certification Limited. EBC is a certification standard developed by IMS. This standard focuses on CSR (Corporate Social Responsibility) related activities of an organization. Brihaspathi Technologies can be considered as the full-scale partner of each online business. Our association with each business begins firmly with a strong consultation process, usually done in person if you have local presence, or over phone and email. Abide Consultancy Services Pvt. Ltd.